The Problem: There were issues with the kitchen design due to there being no straight walls,(which had to be corrected with boarding) and the position of two Velux windows and an angled roof. This had an impact when it came to lighting. 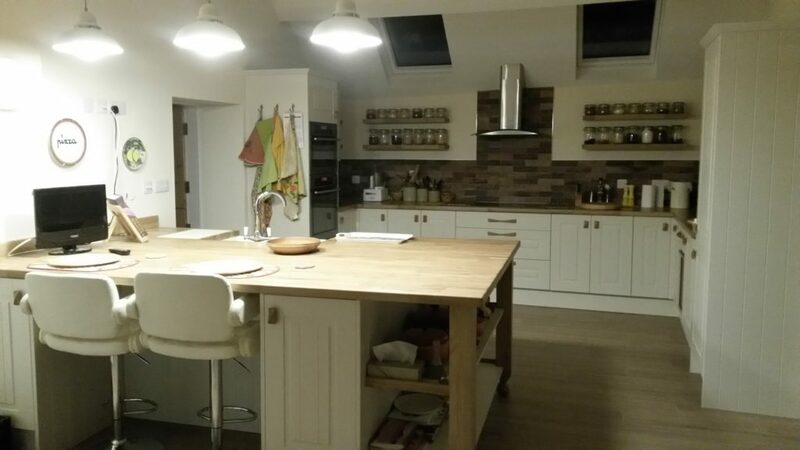 Initially we were able to source and fit the lights that were to go over the breakfast bar which lit the space immediately below them, but this left the difficulty of how to light the kitchen units themselves to give sufficient, up and down light. Our daughter who has worked in bespoke lighting design recommended, that lighting sloping roofs was complex, and we needed light to bounce off the ceiling without being seen, as well as have sufficient light, to light the worksurfaces and the glass cabinet. Our builder had already installed Skyblade lighting into his own Kitchen Lighting Design from Downlights Direct and guided us to do the same both on top of the cabinets and under the wall units, to light the work surfaces and suggested that we light the glass cabinet with a Mini downlight. He also mentioned that we would need 2 driver’s and extra cable to operate the lights and might like to have dimmer switches on the Skyblades under the wall units, as he found that at times, it is good to be able to soften the light. 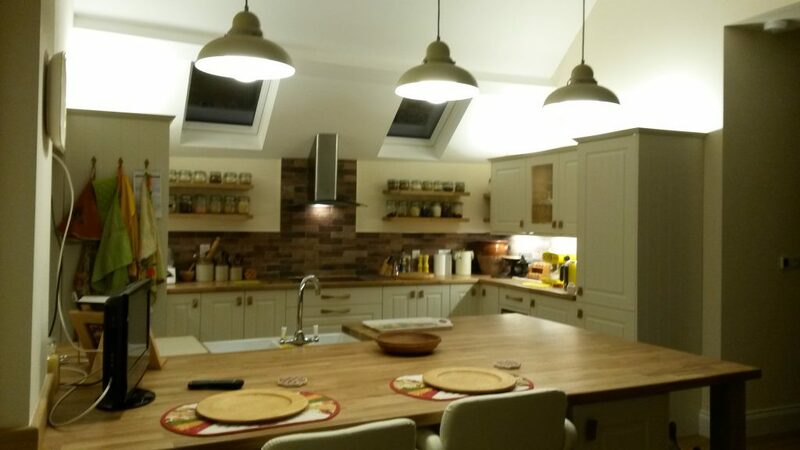 Based on the size of the cabinets we decided that on the right-hand side we needed 3 Skyblades on the top of the cabinet to give sufficient up-light to the roof space and 3 Sky blades under the wall units to light the work surface. 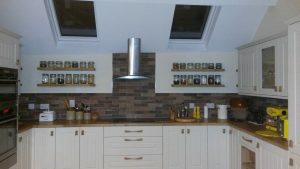 The left sided kitchen units are not as long as those on the right and so we felt that 2 Skyblades placed on top of the cabinet would be sufficient to up-light the roof space and 1 Skyblade under the wall units would light this work surface. 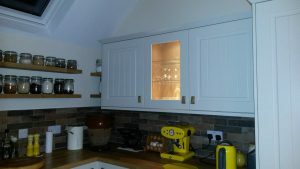 The glass cabinet we decided would be best served with a Mini LED downlight. The space in-between the wall units above the induction hob would be served by the LED light in the extraction hood, which would be sufficient for cooking, with no need for further lighting in this area. 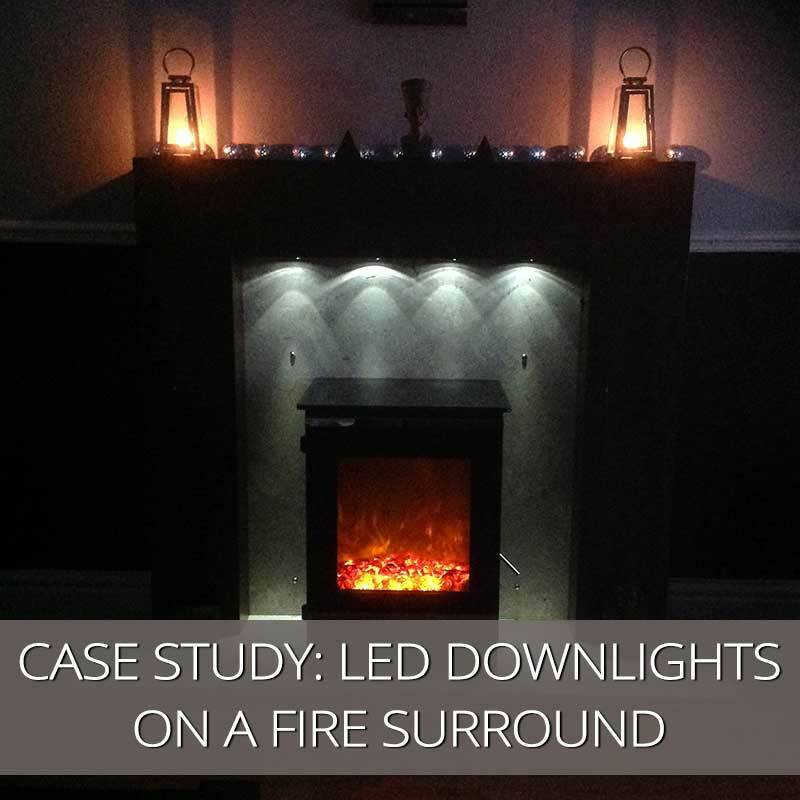 What a result, everything lights up the areas we wanted perfectly, and we are thrilled with the outcome!